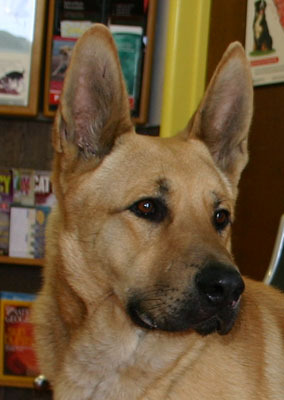 Stanley von Brentwood is a handsome and kind German Shepherd/Yellow Lab. mix. Stanley came from Bakersfield Shelter and he was one of the many who arrived hurt. He had a big gash on his side, after two surgeries Stanley is doing so well. 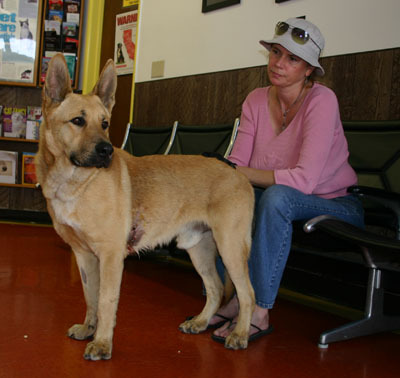 The vets love him because no matter how he hurts, he always has a big lick and a waggy tail for the vets. 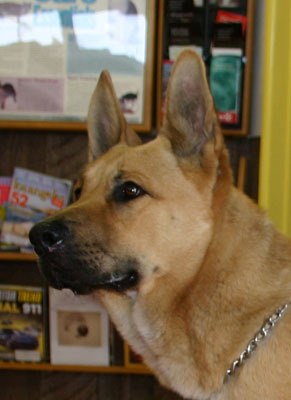 He is only 18 months old but he is calm and loving, he is smaller than a shepherd, he is smart and mellow. He is great with other dogs too. Stanley is enjoying Westside Los Angeles and being a pampered pooch, now he just needs his forever home.